﻿ Avani Quy Nhon Resort, Quy Nhon (Binh Dinh) | FROM $108 - SAVE ON AGODA! 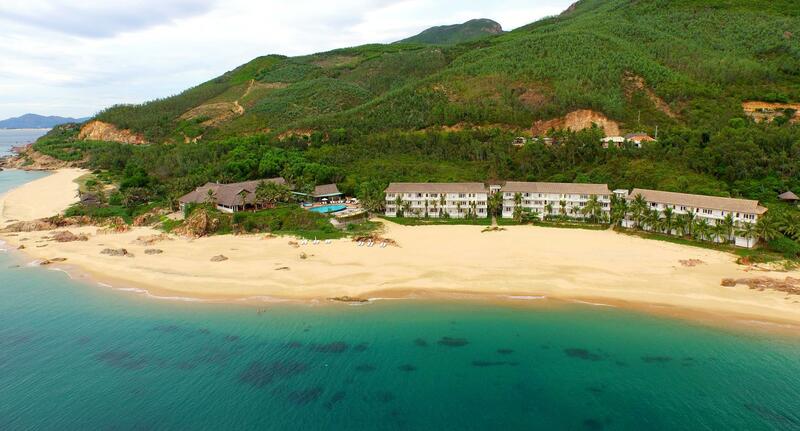 "Next to the sea, very nice view, clean and comfortable hotel..."
Have a question for Avani Quy Nhon Resort? "Hotel location is very good for relaxation." 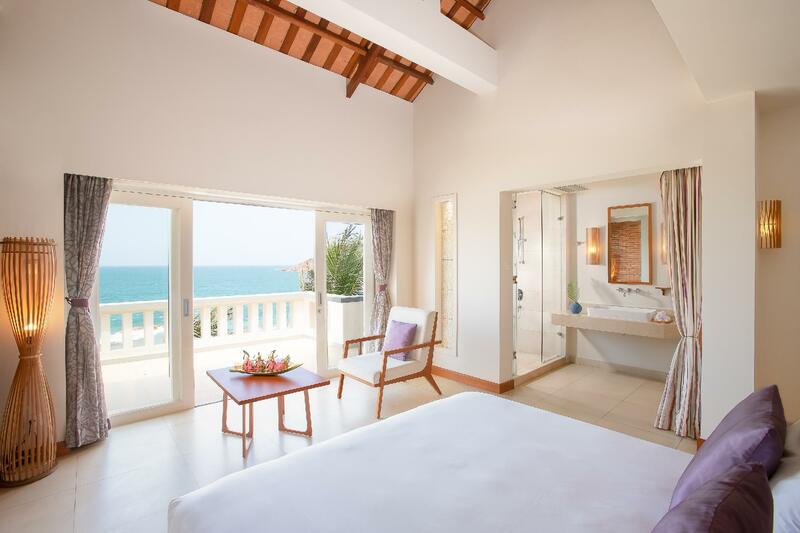 "Room is clean, bath room has a front view to the beach!!" "Nice speaker inside the room for you to chill with your music (love it!)." 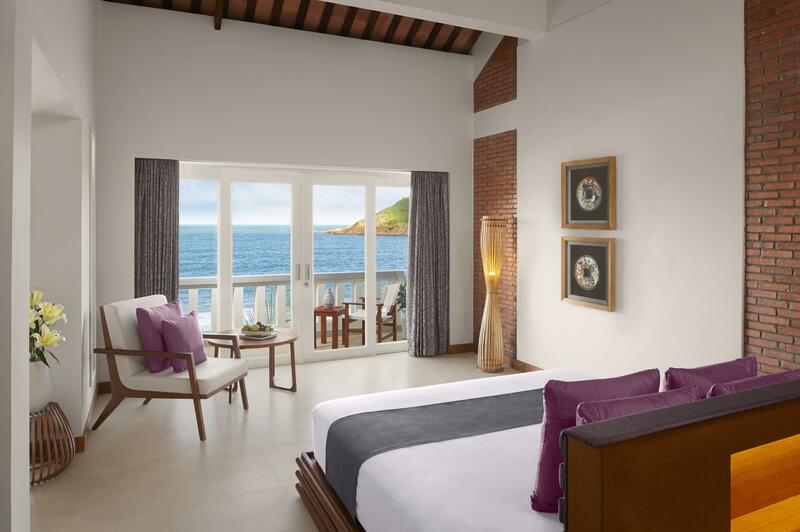 "Small resort, like a boutique hotel but nice architecture, w..."
Sheltered by a private golden beach and soaring cliffs, Avani Quy Nhon Resort, located along Vietnam’s stunning south central coastline, offers a tropical beach and spa retreat generous in spirit and beauty. Upon arrival, guests have a seamless view of the deep blue ocean. Colorful, wooden fishing boats anchored in the bay add to the exotic ambience. This is pure Vietnam - unpretentious and alluring. The spacious comfort of each of the 63 AVANI Deluxe Studio Rooms and AVANI Junior Ocean Suites comes with muted shades of mint and white with splashes of aborigine that offer a soothing palette and contemporary comforts, including a Nespresso coffee machine and Sony docking station which can connect guests with the modern world, yet shelter them from obligations. An uninterrupted view of the ocean is visible from the hanging basket-seat on each balcony, and the restaurant and bar offer sublime cuisine with a slight French flair. Apart from visits to the 11th century Champa ruins, divine spa treatments, and long siesta’s, there is little else to do other than stroll and swim. Guests are surprised how quickly they submit to doing very little while staying at Avani Quy Nhon Resort. Maximum children allowed per room is 1. Any additional child will be charged an extra fee. The resort was beautiful and staff were lovely. The location was secluded so it may not be ideal if you want to be closer to town, for us this is what we were looking for. The food was the only part we could critique, as it didn’t quite match our expectations considering the rest of the resort. Will be visiting again! This was truly an amazing experience, everything about this place is wonderful and more. Our room was huge with a big balcony and had this beautiful view of the private beach and the ocean. Waking up to this view and the ocean sound was just beyond words. The breakfast buffet was the best breakfast we've had ever! It offers a broad variaty of both western and asian breakfast, so delicious! We also had great lunches and dinners (however some evenings we took a 10min walk on the beach away to this other place called Big Tree Backpackers and Bistro for some variaty of food). AVANI's private beach is so beautiful, the ocean is clear. We decided to ge the couples massage which we did not regret, it was very professional! We would definately come back to this wonderful place and next time we would stay longer than 4 nights. Thank you for having us! I booked 3 nights in October at the deluxe studio room. The staff were really friendly and helpful. My room was exactly like in the picture and the resort quality is great. Avani lives up to its motto "It's the details that matter". I was excited to know that the resort offer free yoga class and meditation session, but was also impressed that they offer to bring gym equipment to your room, so I chose to do yoga on our balcony looking out to the sea and was completely spoiled by the cool October breeze and the sound of the waves. October sea was not crystal clear but the beach was exclusive. It was a great escape from the city. Food is generally good. My boyfriend adored the pork belly stew and ordered it two nights in a row, but I would love to have more seafood and local cuisine options. The gym has great view but the treadmill wasn't working so it's a bit sad. But overall it's a wonderful stay and I highly recommend it to anyone looking for a great escape! The hotel is about an hour away from the airport but its location is perfect for a lazy getaway. Clean private beach and awesome views await you. Facility and staff are great. Only negative would be the food option could get receptive after 4 days. The resort places at the cliff so I had great place for breakfast, lunch, dinner and sunbathe. Sitting on the cliff, having meal and enjoying the view. It is still raw nature from the beach and cliff. So this place is suitable for basic re-treat trip which I had good 3 meals, nice place for sunbathe without of crowd and noise and good spa activities with superb great location. The spa is on the top of cliff so I have wonderful time of sightseeing while climbing up. The staffs are really helpful from the greeting, preparing food for request (im vegetarian) and supporting. The room is average level of my expectation due to the facilities. They are middle branded equipments. The resorts takes around 1 hour from the airport and 45 mins to the city. It is saver to take the taxi from airport to resort by taxi. The local taxi offers promotion of 1 way from airport to resort at the time I been there. And it costed more from the resort to the aiport. However, it is much cheaper to request a car of the resort. I recommend this place due to the nice viewed and peacful place. It was a memorable holiday for our family. The resort was neat, clean and nice with a great view. We enjoyed going to the beach early in the morning, and explored the area during the day. The food was fine during our stay; however we preferred going to town for local dishes. Avani resort might be the best resort in Quy Nhon at this point of time. What a beautiful resort, the location really is quite stunning. The rooms are well maintained and have a great view of the beach, the staff are all really helpful and their English ranges from adequate to good. Went for a tour arranged by the hotel, had a car car and driver plus one of the receptionists as guide, they all did a great job and had a lovely day out. If you want to be picky there are a few downsides, it is quite a long way from Quy Nohn, 17 km, so you can't just pop into town, although the resort will book a taxi, cannot always swim in the sea due to conditions but there is always the pool and lastly the food, breakfast was great however the evening meal was a bit expensive and not loads of choice and its not really like you have anywhere else to go. But all that doesn't take away from the fact its a great place and I would go back again. Very tidy and peaceful resort with spacious rooms right on a beautiful beach, friendly staff, professional management, fast internet access, great breakfast. For the downsides, the room was a bit too bright by early morning (no black-out curtains in the open bathroom), balconies are missing some privacy, and the restaurant could/should be cheaper (alternative options available on the other side of the beach and in the fishermen's village, within walking distance). Nice and beautiful. The restaurant is much to expensive, especially the wine. The food very good but the service as good as it should be. Evening; they didn't have steak and lamb, and they had to change the order three time due to lack off overview. The Service minded manager promised us next day to have steaks for us. Next evening, the restaurant manager told they didn't have meat..... The Hotel manager changed this somehow and we got wonderful steaks, and tried there local oysters. The wines was not the year it was listed at the wine list. And much to expensive especially compared to quality. Morning; nice break first with nice cheese selection, but we had to wait 20 min for a cup of coffee, at that even asking three time. The didn't know that information is important, to ease the waiting time. And how long can it take too make a cup of coffee. Two evenings there came one or two buses with Vietnamese guest. Their children made so much noise at the pool area, which also is the bar and restaurant area, so we and other guests had to leave for our rooms for. They should have restrictions for no children under 12 years to avoid this problem. But except for these mishaps, we had a wonderful stay, and I had the best spa treatment in 15 years. 3 hours in heaven. I can also recommend the free yoga lessons at 10 o'clock. As a beginner these where really nice. This is the most perfect place for a relaxing break. The location is amazing, the staff (including the attentiveness of hotel management) are so friendly and accommodating, my room was of a very high standard with the most spectacular view. The restaurant served an excellent selection of quality food. Breakfast was more than adequate. A visit to the Spa is a must. Beautiful beach, lovely pool, all round I give 10/10 for my stay at Avani. I highly recommend this place and would definitely stay there again in the future. They are to be congratulated on the way they run such a wonderful resort. This was our 9th stay at the former Life Resort. It was clear there had been a transition and the physical plant suffered during the hiatus, but big plans were in the works for a renovation. I am sure it will be even more beautiful. I was disapointed with the changes in the spa to much simpler treatments. It used to be the best spa in the region. I hope the new owner will bring it back to its former glory. Staying here was a highlight of our trip. The resort was beautiful and clean and the staff was amazing. Our room was gorgeous and had great views. The private beach was one of the cleanest we had seen. All of the food tasted fresh and the coffee was delicious! We also loved the small restaurant that was down the beach. The resort was equiped with good facilities, but some of them are still not comfortable, for example: too heavy chair, false locker of balcony door. One more thing is entertainment with only few services. Around Shuttle bus should be provided with free of charge. Doing so make guest stay completely perfect. 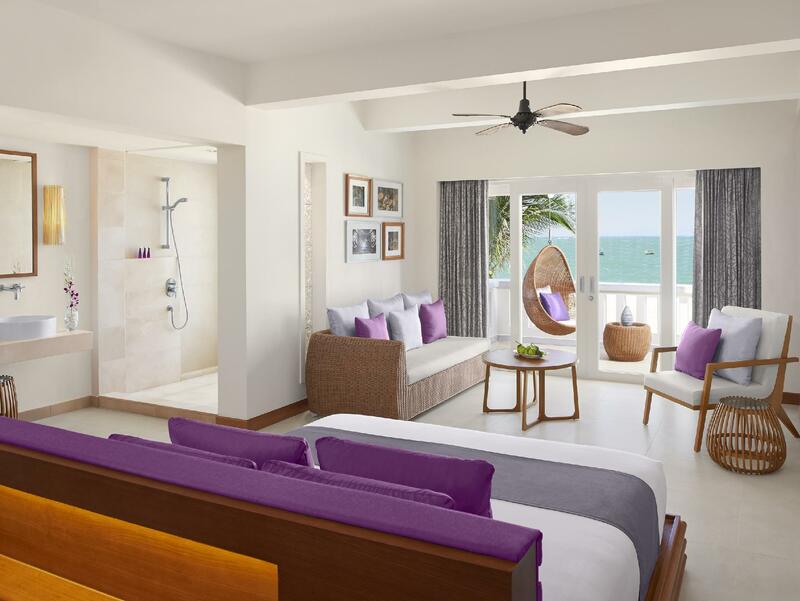 Pros: beautiful and clean resort, room is great, we booked standard rooms and got upgraded to suites and I totally recommend any couples to book the suite with beach front view instead. 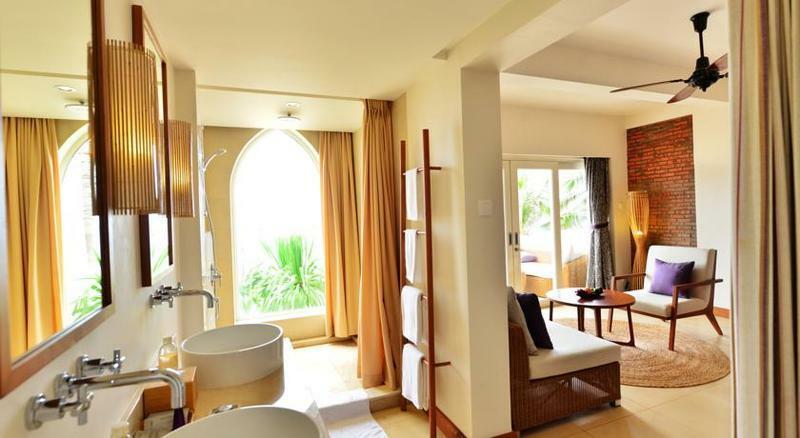 Room is clean, bath room has a front view to the beach!! nice speaker inside the room for you to chill with your music (love it!). The cleaning staffs are nice and kind. Cons: - Vietnamese food: Pho is absolutely not good. We ordered 2 times but both tastes the same, my Vietnamese/American friend who knows little about Pho told us it's like chicken boiled soup We changed to Bun Cha hanoi (grilled meat noolde) and it was better but the fish sauce and vege was not the buncha's style one. - Staff at the restaurant: the lady who served at the restaurant always give us that cranky look receiving our orders. She gave me a grimface after I ordered coffee and by dinner she did it again to my table when we asked for food menu (coz she only gave us wine menu on dinner!). forgot our spoons, vegetable. Because of the renovation for pool, I can use the ANANTARA pool. It was very good. But if I can, I wanted to know this information. We stayed two nights at Avani- the room was absolutely stunning and comfortable. We loved walking around the beach and pool area. The restaurant wasn’t that great- they were ‘out’ of a lot of items (a whole page... salads, more) which was quite limiting. We also had asked for a pasta dish with no meat.. they brought it with a different meat and then we asked for a new one it still had meat all over it. Oops. It wasn’t awful, just limited choices.